Season 4 will be starting by early April. Some of the changes coming with Season 4 are tied to a future game update, so its date is still flexible at this point. Season 4 will be starting by early April. Some of the changes coming with Season 4 are tied to a future game update, so its date is still flexible at this point. Once Season 4 starts, we will be moving to a more regular Competitive Season schedule — something we’ll go into detail on closer to the beginning of the next season. So if you’re still not quite at the Champion Tier in Season 3, you still have time to move up! Similar to previous Competitive Seasons, we will be releasing rewards for Season 3! We rewarded competitive players with Crowns and Rocket Trails in Seasons 1 and 2, and Season 3 will see special Wheels awarded to all players who have placed in Competitive Playlists. The highest reward you receive is tied to the highest Tier you reached in any Competitive Playlist during Season 3. 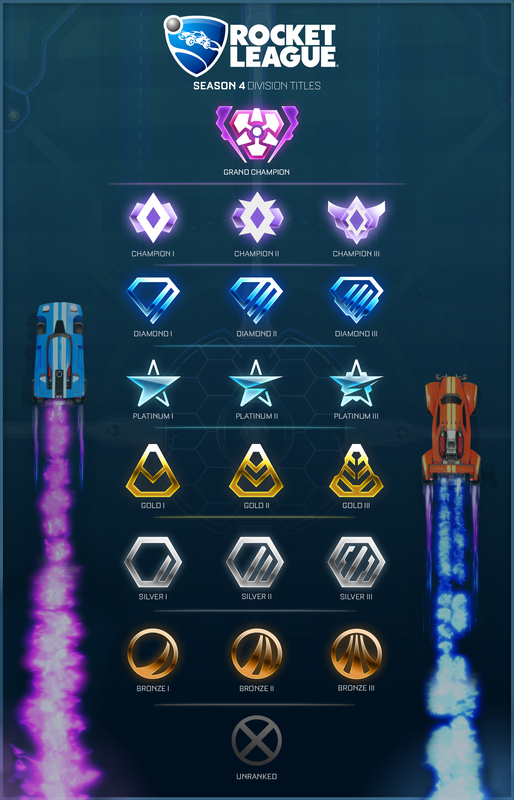 If you reached ‘Champion’ at any point in Season 3, then dropped to ‘Superstar’ or lower, you will still get the ‘Champion’ -level Wheels, along with Wheels for every lower Tier. So what kinds of changes are coming in Competitive Season 4? We’ll go into detail on all of the changes closer to the start of the season, but here’s a sneak peek of the new Tiers you can expect down the line! Yes it sure is. Good part I made it to champion already haha! Previous Entry Rocket League 1 Billion matches played! Patch Notes V1.27.